Apparently “Way Too Early” is on a little too early for the whoever runs the ticker over at MSNBC. 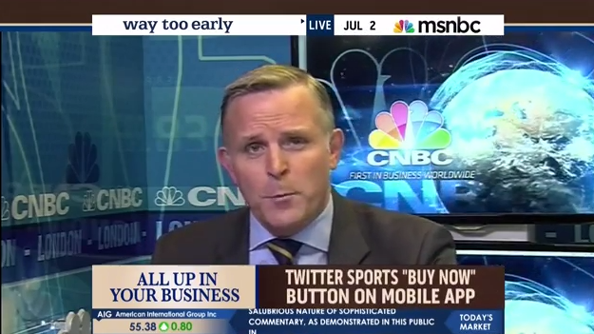 On this morning’s edition, some strange text appeared on the ticker during a segment featuring CNBC London reporter Steve Segwick. The text, which read: “Only quite a fatuous individual would question the use of the mentally salubrious nature of sophisticated commentary, as demonstrated in this public in…,” appeared in two separate chunks at various times during the segment, with the second one extending to three lines and getting cut off at the top and bottom. Watch the video below, courtesy of Ryan Olsen.